The Ivory Wedding is one of the most unique wedding ideas for your tropical beach wedding in Phuket. 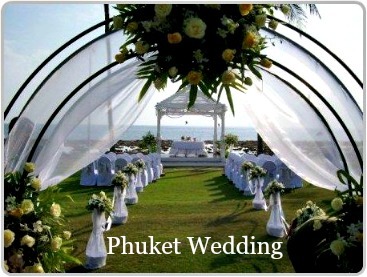 The Ivory Wedding package combines both Thai and western style ceremonies. A display of colours and sounds that reflects the rich Thai culture, combined with a traditional western style ceremony. This package includes a pre-ceremonial meeting at your hotel to discuss all the details of your special day. 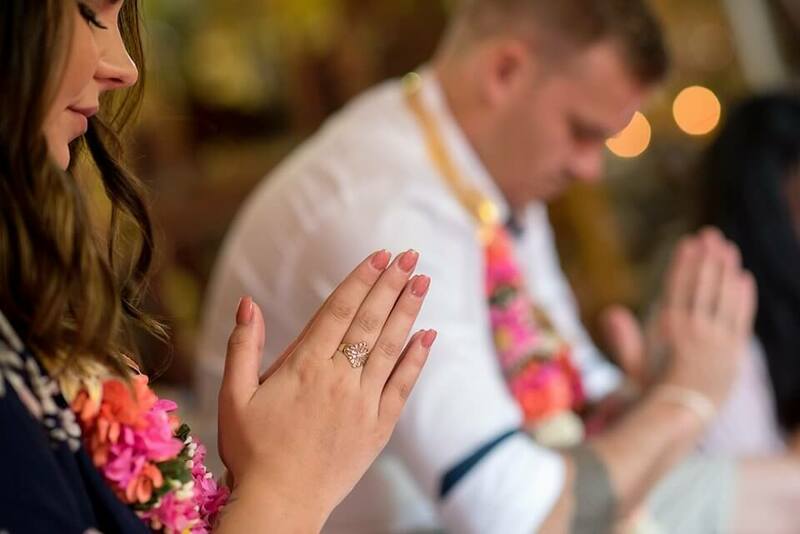 The planner and marriage celebrant will meet with you before your ceremony to go though your wedding ideas and all the important aspects of the ceremony, including your vows. The package also includes a bouquet for the bride, altar with flower decorations, a professional photographer, a non official wedding certificate, photos CD with all your photos and a post ceremonial meeting. 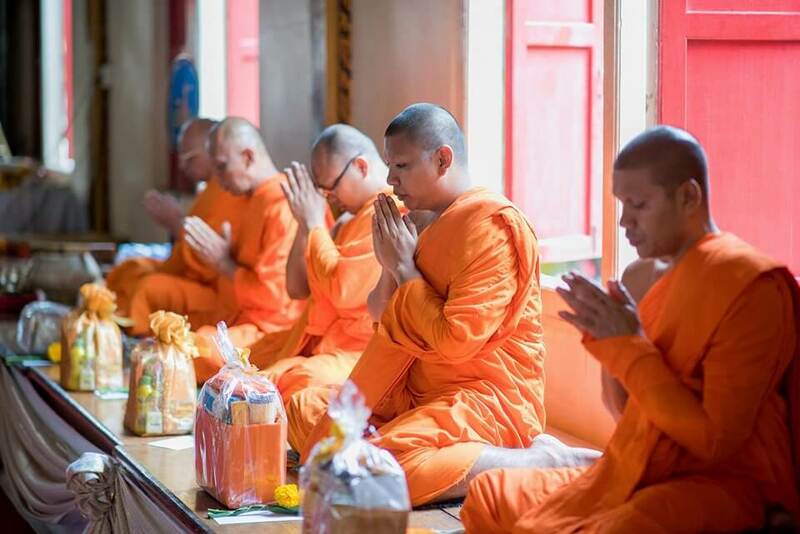 Before the bride & groom arrive at the beach for their ceremony, the couple will be blessed by monks at Phuket’s most visited temple, Wat Chalong. The monks Buddhist blessing is part of a Buddhist ceremony, but even if you are not a Buddhist it is a unique idea for a wedding in Phuket. From the temple you will be transported to the beach for your western wedding ceremony. 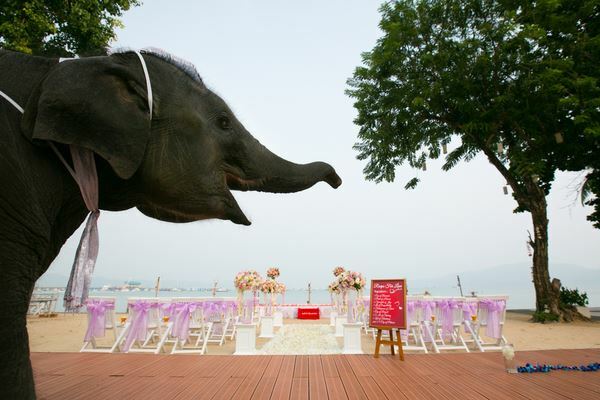 Your wedding procession will be led by a parade of traditional Thai drummers, dancers and musicians and an elephant. The elephant has special significance in Thai culture, and in some parts of Thailand the elephant would play an important role in the ceremony by transporting the groom to the bride’s home. 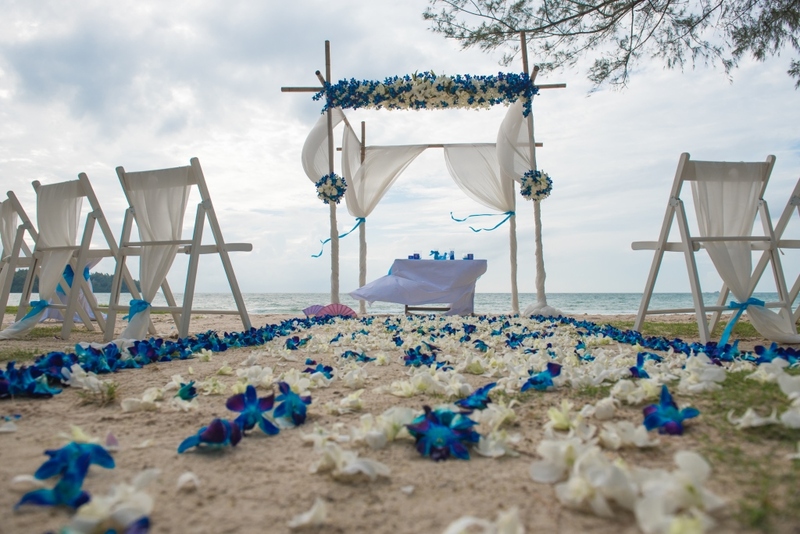 Once the couple have arrived at the altar on the beach, the marriage celebrant will perform a western style ceremony. The ceremony will be followed by the signing of the non official wedding certificate, a champagne toast and a cake cutting ceremony. There will be plenty of time for pictures with the elephant, musicians and the dancers. Your friends and family will love these wedding ideas. 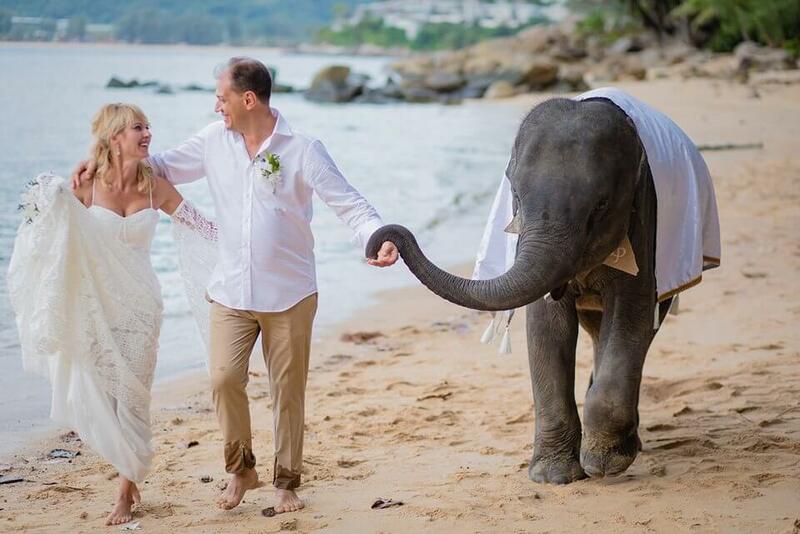 If you would like information on other wedding ideas in Phuket or more information including prices for the Ivory Wedding Package, please complete the following contact form.